Two small earthquakes with preliminary magnitudes of 3.6 and 2.7 shook near Gilroy and Watsonville on Tuesday night, according to the U.S. Geological Survey. The larger of the two temblors, initially measured at 3.9, struck at about 10:02 p.m. and was about 4.5 miles deep. It was followed by the smaller shaker about a minute later, the USGS said. 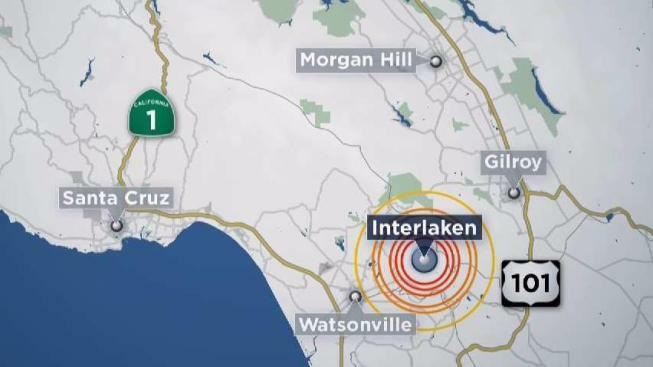 Some residents in Gilroy reported feeling a good jolt while others as far away as the Peninsula and San Francsico reported feeling the earth move. The temblors occurred along the San Andreas Fault, the USGS said.